Like an audio lineup, Easy Voice Biometrics is a powerful new product that allows you to assemble all of your voice files and, within seconds, compare them to the file in question. You can quickly find the best matches and focus your Forensics tools on only the files that matter. It will be useful on any Windows 7, 8 and 10 PC! You won't spend hours wasting resources, rather, you'll spend your precious time working on a much narrower focus that only Easy Voice Biometrics can provide. Like an intelligent librarian, you can import up to 100 voice evidence files, catalog and update them and then, when you need it most, be able to quickly compare 10, 20, 30 different files in seconds. Easy Voice will quickly eliminate files that your ears might not and save you valuable time. Get in on the ground floor and receive Free 2 day LIVE Training Course which will show you the best methods for using Easy Voice Biometrics and also show you in depth how the program works. 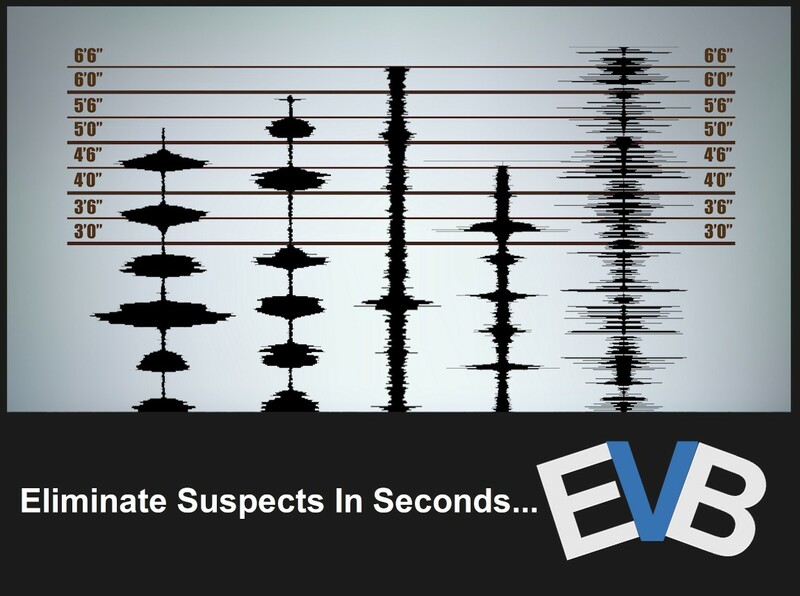 Court tested and expert approved...Easy Voice Biometrics is an important addition to your Forensics Analysis tools!